Getting your home redecorated may be the best way to start of the new year- but do you really need it? Home redecoration will always leave your home looking much better, but it can become a lot of money if it isn't necessary. 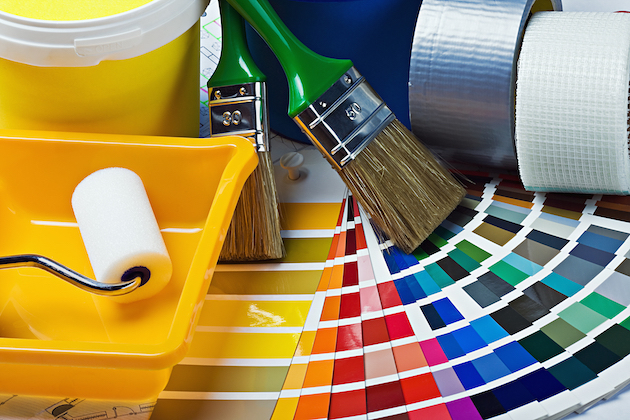 We've listed some signs that suggest it is definitely time to redecorate your home this year. When you move into a new house, especially one that is brand new, all the walls are likely to be painted the same colour throughout. This colour usually being beige, cream or white. While this can look crisp and clean, it can become very dull and boring- especially for bedrooms and living rooms. Why not look at these plain walls as a blank canvas and let your imagination into the room? Painting the walls a brighter, more vibrant colour helps to add some personality to your home, even if you don't change the furniture or decor. If you aren't sure what colours will match or don't know whether to take the risk, our team of decorators in Glasgow will be happy to add some input! The way your home looks should reflect on you and your family- rather than having a standard, 'show home' feel. If the latter applies to you, it is definitely time to consider some redecoration. Buying a few statement decorations or furniture will soon liven up the way your home looks and feels. If your day to day life has changed- then so should your home. You know you will have to do some redecorating when a new child is born, but what about when your children move out? You are likely to have more time and money to spend on finally having the home of your dreams, so why not? Or if you have recently got a new job or promotion, leaving you with a little more disposable income. Treat your home to being redecorated this year! Our team in Glasgow have all the answers you need when it comes to home decor. While vintage is becoming trendy again, there's a very fine line between retro and outdated. If your home feels fresh out of the 70s or 80s- you definitely need to consider redecorating. What might once have been cool is not only old fashioned now, but probably lacking the practicality and modern features of new homes. So why not get started on your dream home today? Need your home redecorated in Glasgow? We offer our redecorating and refurbishing services based in Glasgow, covering Barrhead, Newton Mearns, Bearsden, Milngavie, Cambuslang, East Kilbride, Hamilton and all surrounding areas. For a decorator with years of experience, that knows exactly how to make your home shine- look no further than HW UK Services Ltd.! To get in touch today, give us a call on 07518 884171, check out the handy contact form on our website, or send us an email at hwukservices@gmail.com. We hope to hear from you soon!